What is General Relief (GR)? GR is a county-funded program that provides temporary cash aid to eligible Marin adults (over 18 years old) who have no dependent children living with them. Its goal is to help clients obtain self-sufficiency. 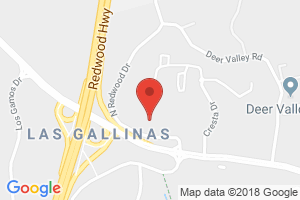 You may apply in person at our office at 120 North Redwood Drive, San Rafael, CA 94903 from 8:00 AM to 4:00 PM, Monday through Friday at the 1st floor reception, Window 4. When you return a signed and dated GR application package, you will be given an appointment for an intake interview within 7 business days. GR eligibility staff is sometimes available at other locations. For more information, please call (415) 473-3450. How do I get an earlier intake interview? If you wish to be seen sooner, you may return daily to ask for a standby appointment. When another client cancels their scheduled appointment, staff will give away the slot to someone on the standby list. Names on the list are not carried over to the following day. Standby appointments are given on a first-come, first-served basis. What are the basic eligibility requirements for GR? You must live in Marin and intend to stay. You must be a United States citizen, legal permanent resident, or residing under Permanent Residence Under Color of Law (PRUCOL). Liquid assets cannot exceed $200. Income may not exceed the maximum cash aid grant of $387 per month (single person) or $636 per month (for a married couple). Personal property cannot exceed $600 (some items are exempt). You will be required to apply for and accept any potentially available income such as unemployment, financial aid, pensions, Social Security benefits, etc. Other criteria may come into play depending upon your individual situation. How much will I receive if I qualify? The maximum GR benefit for a single person is $387 a month and $636 a month for married couples, (allowable income will reduce the amount of GR awarded). Am I eligible for GR if I received Cal-Fresh (formerly Food Stamps)? Receiving CalFresh neither entitles you to GR benefits nor excludes you from receiving them. Will I receive medical benefits? If you are temporarily unable to work or disabled, GR requires you to apply for and accept the County Medical Services Program (CMSP) or Medi-Cal. How long can I get GR? If you are able to work, you may receive GR for 180 days within a 12-month period. If GR determines you are not able to work due to physical, mental, or other impairments, there is no limit on how long you can receive GR as long as you meet ongoing program requirements. Your situation is reviewed each month. What happens if I do not get a job within the 180 day time limit? Your employability is continually being reassessed as you participate in our employment services. Additional resources may be provided to assist you as needed. What employment services does the GR program offer? GR is designed to help recipients obtain self-sufficiency by offering employment services. Recipients receive an individualized assessment of their employability based on their work skills, work experience, limitations and capabilities. An employment counselor will help you develop an employment plan to focus your job search efforts in light of the current market. Workshops are available that will provide job-search training and other skill development that will enhance recipients’ efforts in landing a job. Referral services and other educational opportunities may also be suggested. What if I am disabled or temporarily unable to work? If GR determines you are temporarily or permanently unable to work you will be placed in the GR Work Exempt Program. GR staff, in conjunction with program evaluators and community partners, will develop a treatment plan that assists your recovery and hopefully leads to employment or a more stable source of income. If you are disabled for more than a 12-month period and cannot work as a result of this, GR will support your claim for disability benefits from Social Security. What are the requirements to stay on GR? Participants must follow the individualized program mandates such as completing employer contact logs or attending evaluations. All clients must complete a monthly update report. Failure to do so may result in a sanction or discontinuance from the GR program. A sanction is discontinuance from the GR program for a specific time period for failure to comply with eligibility or GR requirements. The sanction period for each occurrence is as follows: first, 30 days, second, 60 days, third and subsequent, 90 days. What happens if I feel that the sanction was in error? Call your eligibility worker to discuss the reasons for the discontinuance. A GR recipient may also request an appeal review hearing. This request form is available on the back of the discontinuance notification. The form must be received on or before the 30th calendar day from the date of discontinuance. What is the CAPI Program? Cash Assistance Program for Immigrants (CAPI) provides cash assistance to certain aged, blind, and disabled legal non-citizens ineligible for Supplemental Social Security Income/State Supplemental Payment (SSI/SSP) due to their immigration status. CAPI applicants are screened and given the CAPI application at our 120 North Redwood office, however applications are then sent to San Mateo County to be processed.